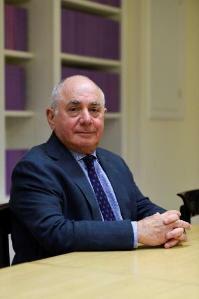 David Bloom QC holds the degrees of LL B (Hons) and LL M (Hons) from the University of Sydney. He was admitted as a Solicitor of the Supreme Court of New South Wales in March 1972 and was employed as a Solicitor at Messrs Dawson Waldron, becoming an Associate Partner there in 1975. He was called to the New South Wales Bar in August 1975 and became one of Her Majesty’s Counsel in 1987. David practices predominantly in the area of revenue law in which he is considered one of the most pre-eminent jurists in Australia. He is the most senior and experienced advocate in his field. Over a career that spans more than 40 years, he has appeared in some of the most important landmark cases in taxation law, as well as public law generally. David practices in all superior court jurisdictions and maintains chambers in Sydney, Melbourne and London. He is also a member of both the New York State Bar and the Bar of England & Wales.